Bob Beck brings 27 years of recovery audit experience to ATG. He has led recovery audits at many of the largest retailers in the United States. He was motivated to join ATG after seeing how we were using unique and innovative technologies to capture audit opportunities in near real time. Bob’s technical skills, coupled with his in-depth knowledge of the procurement-to-payment cycle, enable him to produce superior results for his clients. Prior to joining ATG, Bob, co-founder of Beck Financial, LLC., Bob was responsible for bringing management consulting services to small and medium size businesses in the areas of technology, operations and process efficiencies. He brought significant expertise in the areas of IT integration and process improvement through the use of technology to his clients. Prior to Beck Financial, Bob was Director of Audit Development with PRG-Schultz. In this role, he developed systemic approaches to leverage technology across a very large client base including all of the largest retail audit engagements in the company’s Central and Eastern U.S. Regions. Bob was a Principal with Robert Beck and Associates until they were acquired by PRG. He was responsible for major accounts in the South Central U.S., including two of the nation’s top five retailers. In this role, Bob oversaw all sales and operational activity, working directly with his client’s to better enhance the audit experience and maximize recoveries throughout his region. 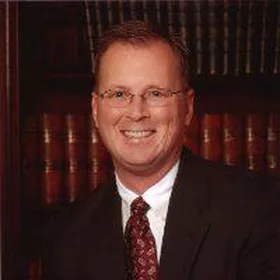 Bob began his career in the audit recovery industry as a Senior Auditor with Robert Beck and Associates in 1987 after spending many years in the retail grocery industry with Jewel Food Stores, Inc. He earned his Bachelor’s degree from Elmhurst College. Bob resides in Fort Mill, South Carolina with his wife, Sue, and their four children.